A trip to Cornwall wouldn’t be complete without visiting one of the sandy beaches right on our doorstep. Here at The Olde House, we are just a 8 minute drive from some of the UK’s most popular beaches. Take a look below at some of the ones that are closest to us. Some beaches operate a seasonal dog ban whilst some welcome dogs all year round. Polzeath is considered one of the best surfing beaches in Cornwall, especially for beginners and that’s why it’s home to our Surf Club. It’s manned by lifeguards in the summer months and is also Blue Flag rated which means it’s particularly clean and nice. There are restaurants and surf shops peppered along the beachside including one of our favourite restaurants, The Waterfront. Budding surfers are given a 10% discount on lessons as guests of The Olde House. Find out more about our Surf Club. Parking: Parking is available nearby in Polzeath. Dog friendly: Seasonal dog ban. Dogs are welcome between 1st October and Easter day. Lifeguards: Lifeguard cover in the summer. 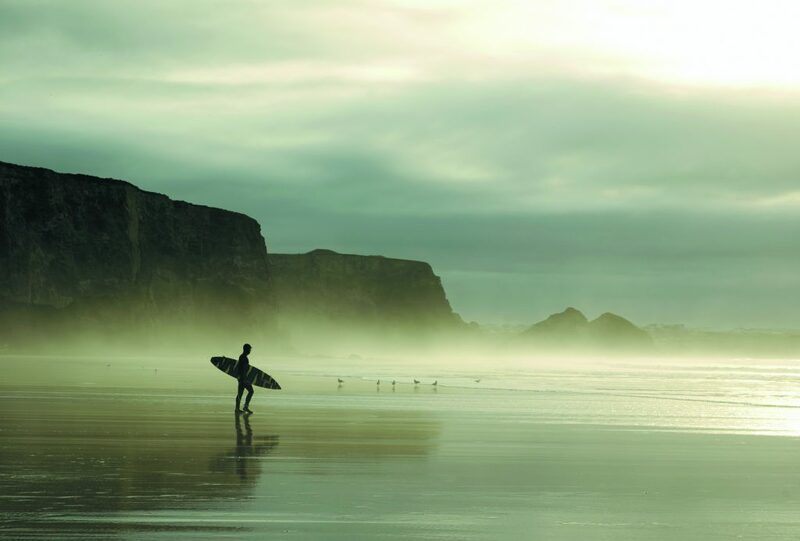 Famous for its popularity as a surfing destination, Watergate Bay is a two mile stretch of sand on the north coast of Cornwall. The large, open bay picks up a lot of swell from the Atlantic and attracts visitors from all over the world. With plenty of sand and rock pools, Watergate Bay is ideal for family days out. Daymer Bay is a large sandy beach which is perfect for a family trip to the seaside. Found between Polzeath and Rock, its gently sloping sands mean the water is shallow and gentle waves lap the shore, great for little ones who enjoy a splash about. The rock pools are home to lots of little sea creatures, which inquisitive kids will enjoy. For the energetic, Brae Hill overlooks Daymer Bay and offers a challenging hike with rewarding views over Padstow and the Camel Estuary. Visitors can also follow the coast path to Polzeath. Dog friendly: All year round. Rock is the sailing centre of North Cornwall and is also a popular spot for windsurfing and water skiing. Tuition is available on a daily basis and is suitable for all ages. There are several walks and footpaths around the beautiful village of Rock. One of the paths leads to the quaint St. Enodoc’s Church which is around 800 years old and found next to the rolling dunes of Daymer Bay, which famously submerged the church in the 18th Century. A ferry across the estuary to Padstow leaves on a regular basis from Rock and there are several cafés and restaurants within a short distance of the beach. Parking: Car parking is available in the village. Dog friendly: Dogs are welcome all year round..